JAM Participating Institute 2019 – Joint Admission Test (JAM) is conducted for admission to the various postgraduate programmes offered by the JAM 2019 participating institutes. JAM 2019 will be conducted by IIT Madras, one of the 16 participating institutes of JAM 2019. In this article, candidates can find the list of JAM participating institutes 2019 along with the number of programmes and seats offered in each institute. 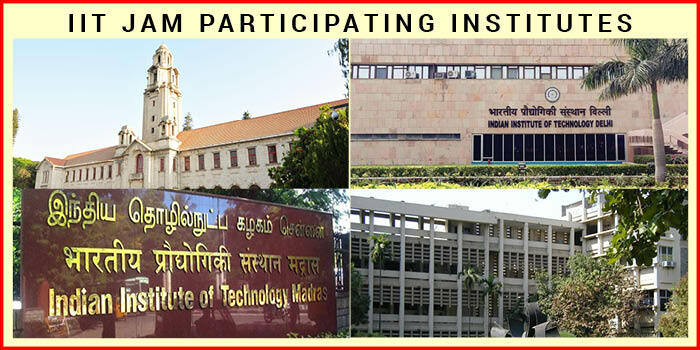 The JAM 2019 participating institutes include 15 IITs and IISc, Bangalore. Admissions to these institutes will be based on the scores of the Joint Admission Test which will be conducted on February 10, 2019. JAM 2019 will be conducted in the online mode for which the applications have been released on September 5, 2018. These IIT JAM 2019 participating institutes are institutions offering PG admissions in science. Moreover, JAM 2019 participating institutes offer admissions into as many as 1923 seats including IISc Bangalore. Candidates must check the eligibility criteria for each course before applying for the same. The minimum marks required is 55 percent for general category and 50 percent for the reserved category. JAM 2019 will be conducted online on February 10, 2019 for a total of three hours. The details regarding the JAM exam centre 2019 and the session of the examination will be mentioned in the JAM admit card 2019. The eligibility criteria for each of the subjects offered by the different institutes will different. Candidates are advised to go through the JAM 2019 eligibility criteria before filling the application form.